Natural disasters such as hurricanes or earthquakes are one of the key threats to travelers abroad. While you may already have some preparations in place to protect your travelers’ safety, consider some of the often-overlooked steps your organization should also take to help mitigate risk for these types of events. When planning for a hurricane or other natural disaster, organizations tend to focus on what they can control. While this is important, it’s also crucial not to lose sight of the greater context of the event, including the threats you can’t control. Perhaps your facility is structurally sound enough to hold up in any major disaster and your travelers have an ample supply of food and water, but have you thought about dangers that could arise outside your purview? For example, infrastructure outside your facility, such as roads and airports, could be heavily damaged and non-functioning for some time. The security situation on the ground can change rapidly after a natural disaster. Law enforcement and emergency services will likely be occupied and possibly overwhelmed with conducting rescue operations. As such, opportunistic crime, generally in the form of looting, is a frequent post-natural disaster threat. It can also be difficult to acquire outside security resources after a disaster has occurred, especially in a remote location. Should the security situation deteriorate, significant focus and attention can often be directed at alleviating these concerns, and evacuations can be halted if it is not safe to move personnel. Making preparations to protect your facilities and personnel prior to a disaster event mitigates these risks and allows your organization to focus on other concerns. One of the most difficult problems when a natural disaster occurs, or when one is looming, is understanding which travelers are affected and in need of assistance. This can be particularly challenging if you have a number of travelers dispersed in one region of the world. Having a strong grasp on where your travelers are at all times, and where they are intending to travel, is crucial. When it comes to an evacuation either before or after a disaster, having a complete and accurate manifest of personnel is almost always a requirement. If you intend to get your people out via a government-coordinated evacuation, a manifest including name, passport information, and contact information will be required. This type of manifest will also be required for a chartered plane or boat. If your organization budgets appropriately ahead of time to set aside funds for a natural disaster crisis, your organization’s ability to quickly adapt to the situation and speed up the evacuation process will drastically be improved. Once a disaster occurs, it can be very difficult to get evacuation assets in motion without an authorization of funds (e.g. a wire transfer), resulting in delays that can further hinder traveler safety and well-being. Too often, organizations have a plan that outlines when to evacuate, but they do not fully understand what an actual evacuation entails. An evacuation could involve catching a standard commercial flight prior to the storm coming, or it can be significantly more complicated such as an air, land and/or sea evacuation following a devastating storm or quake. Depending on the number of travelers needing evacuation and flight availability, the need to charter an aircraft, vessel, or vehicles can come into play. Organizations should consider what their emergency communication chain should be, both internally at the organization and externally to traveler’s family and emergency contacts. It may also be advisable to have a team that is tasked with communicating to the media if it becomes necessary. Natural disasters are complex and dynamic situations involving elements that could be out of your control. 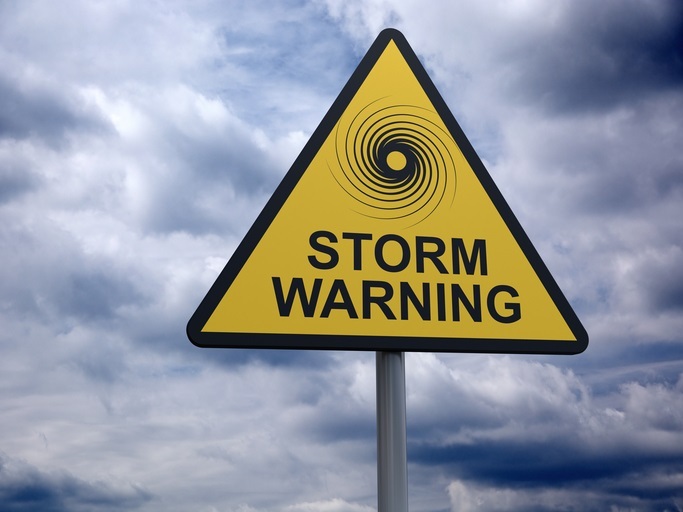 Although it’s often difficult to predict when a natural disaster will strike, there are still steps that organizations can take to be prepared. Furthermore, the aftermath of these events can bring up familiar issues that organizations can both identify and plan for. By having a proactive plan in place to effectively handle natural disasters, organizations can mitigate risk and better ensure the safety of their travelers abroad. For more information on how On Call can help your organization prepare for and respond to a natural disaster, contact us today.